The congestion of traffic on the roads back of the American lines in the Argonne is so great, that the streams of vehicles are able to move only two miles an hour. This scene, in the ruins of Esnes, is typical. 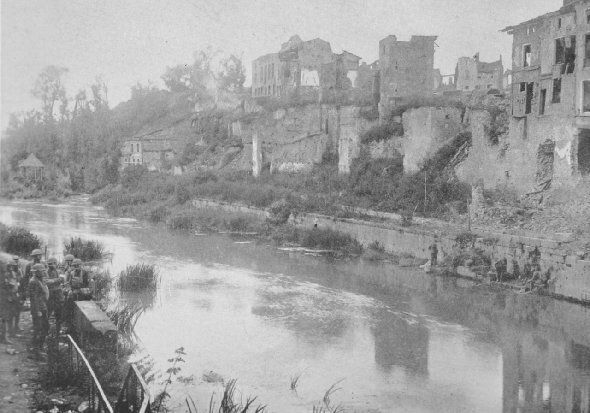 Town of Varennes, view due west, across the River Aire. 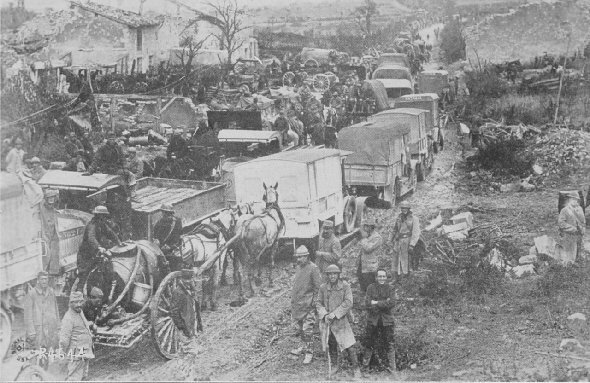 Varennes, September 27, 1918. This town, like all others in the territory occupied by the Germans, was looted of everthing worth taking.